Whats the #1 cause of weight gain, joint pain and osteoporosis in men and women over the age of 50! I’m dedicating to helping you improve not only your body, but your health and quality of life, the first thing I want address is something called sarcopenia. Nearly everyone over the age of 30, who doesn’t know how to fight it is currently undergoing stages of sarcopenia. Did you also know that 1lb of muscle can burn 30-50 calories per day? And… by your 60’s if you don’t do anything about this, your metabolism will have reduced by 450-750 calories per day! Looking at this information, it’s no wonder that people gain weight year after year all while feeling hopeless! After all, by the time you’re 60, you would have to eat 450-750 less calories then you did at 30 just to maintain your. However, sarcopenia, muscle wasting and the sever drop in your metabolism between the ages of 30 and 60 can easily be prevented and reversed if you know the right steps to take. So, don’t blame the passage of time for your weight gain and middle age spread! We all know we need to stretch to stay mobile. But how do you know which muscles to stretch? I have clients that are too mobile in some areas, while they are really stiff in others. Make sure you are warm. You don’t need to bounce or pull at your leg to stretch effectively. Use a strap, tie or towel to reach around your foot. Hold the stretch for 30 seconds on each leg. 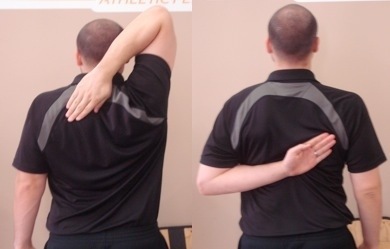 Another great little sequence to improve posture and alleviate and improve shoulder impingement. 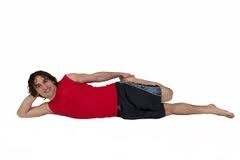 A stretching routine can undoubtably lead to a successful outcome for many. 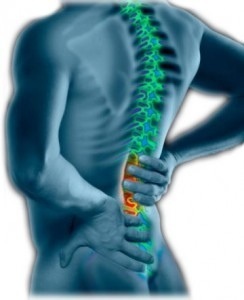 However, there are times that your pain simply cannot tolerate stretching. 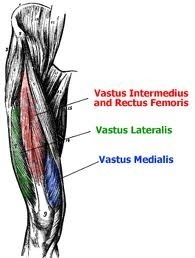 When pain levels are high and muscles too taut, stetching may actually aggravate your injury. In cases such as this, the smart way to go is to first minimize your pain using trigger point massage and hot and cold home treatments until you can reach a point where you start some moderate stretching without the pain. If you find stretching aggravates the problem, stop stretching and just continue with the massage and hot and cold treatments. 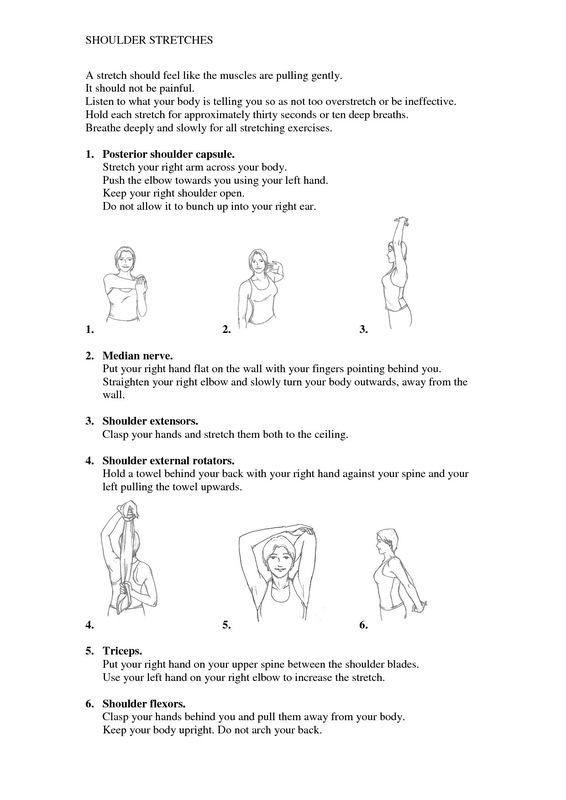 Here are some exercises to improve your shoulder mobility and strength…. Combined with a stretching routine, using Cold packs and Hot packs are highly effective treatment products for helping to get rid of trigger points. Successful treatment of your trigger points will increase shoulder range of motion and reduce the likelihood of a worsening frozen shoulder injury. I do believe that you must persevere with shoulder pain. Even when your symptoms have gone- always, Always, ALWAYS do your mobility and stretching exercises! Using your roller or tennis balls daily or at least 3 times a week will keep you pain free AND you get a stronger core and better posture FREE! PLEASE Follow my blog if you found this interesting. ShoulderTests – when should take action? The shoulder is a complex joint, so great care must be taken when training with a wing not quite ready for flight. When I refer to shoulder pain, I am talking about soreness and dull aches, as opposed to sharp pains or severe structural damage. Any time you have a nagging pain, please seek the clearance of a sports medicine professional to rule out serious injury or complications. Once your joint integrity has been deemed healthy, you can get to work improving the function of your shoulder. The shoulder is made of several joints and muscles that work together to provide the largest range of motion of any joint in the body. However, such a complex structure is subject to numerous possibilities for weakness and dysfunction. The key to identifying shoulder issues, and consequently the appropriate course of action to correct them, can be deciphered through two simple self-tests. 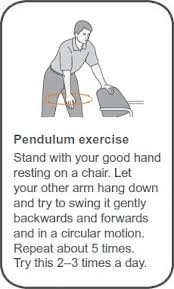 Place your arm overhead and reach behind your neck to touch your opposite shoulder blade with your palm. This checks whether your shoulder can move through the motions needed to properly throw a ball, including external rotation and shoulder blade movement (raise and rotate upward). Reach your opposite arm behind your low back and move the back of your hand up to touch your shoulder blade. 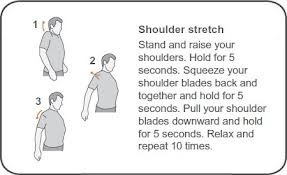 This checks to see if your shoulders can internally rotate and if you can pull your shoulder blade back (retract and rotate downward), which is important for stabilizing the joint. If you have difficulty touching your shoulder blade, feel tightness or even pain on either test, then your mobility must be improved. 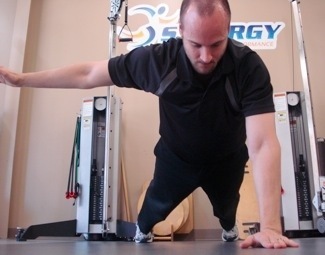 Assume Single-Arm Push-Up position with your feet shoulder-width apart. 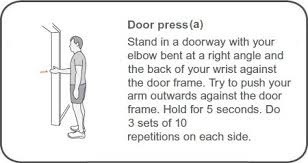 Extend your opposite arm directly out to the side. Hold the position for 30 seconds without shifting your weight, dropping your hips or losing stability in your supporting shoulder. This test assesses the strength of the shoulder-stabilizing muscles. 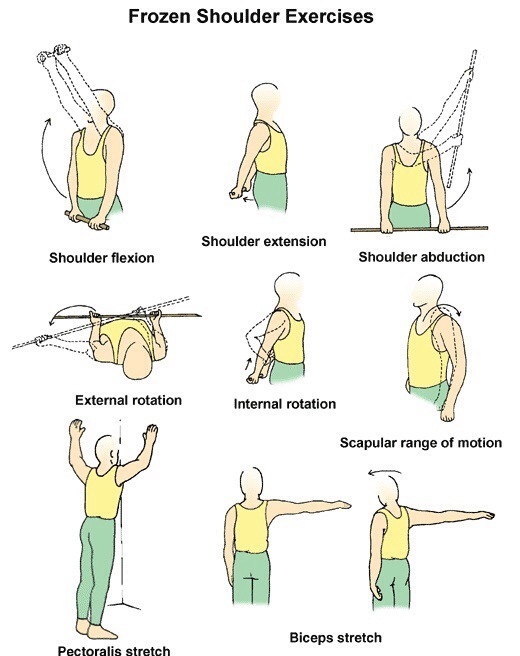 If you fail to support your body for the specified time or sense pain, you need to improve your shoulder stability. If you can’t support your own bodyweight, how will your joint handle throwing a fastball or even landing from a fall? The results likely won’t be good. PLEASE Follow my blog if you’ve enjoyed these posts.